These remind me of the soup organizers they have at the grocery store! I love how when you grab a can the next one rolls right into place. 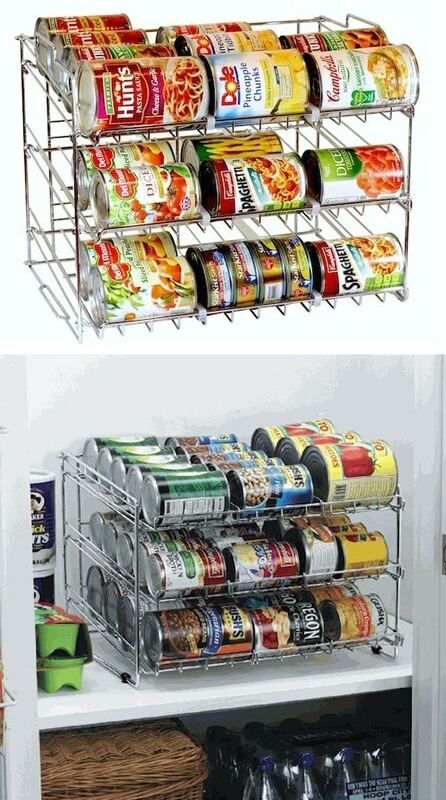 You can also stack them, so if you have a large space without shelving you could really store a lot of cans. Pick one up here on Amazon. Each side has 23 pockets and it snaps onto a hanger for easy storage in any closet. It’s perfect for smaller items like pantyhose or socks, but I have a feeling my husband would love this for his electronic devices, although, he would need a dozen of them to fit all of his cords. Pick one up here on Amazon. 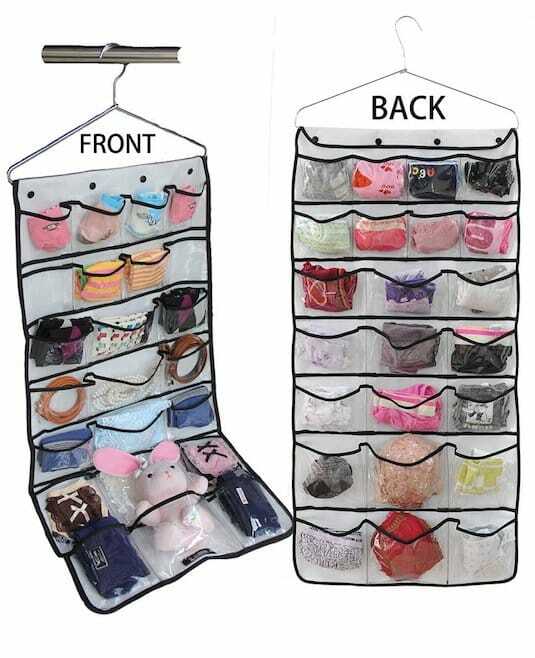 This unique closet hanger is great for anything with straps (tank tops, lingerie, camis), and only takes up the space of a single hanger. Perfect if you are limited on closet space! I found them here on Amazon, but I also found these tank top hangers that I thought might be a little more practical and maybe easier to remove your tank tops from.